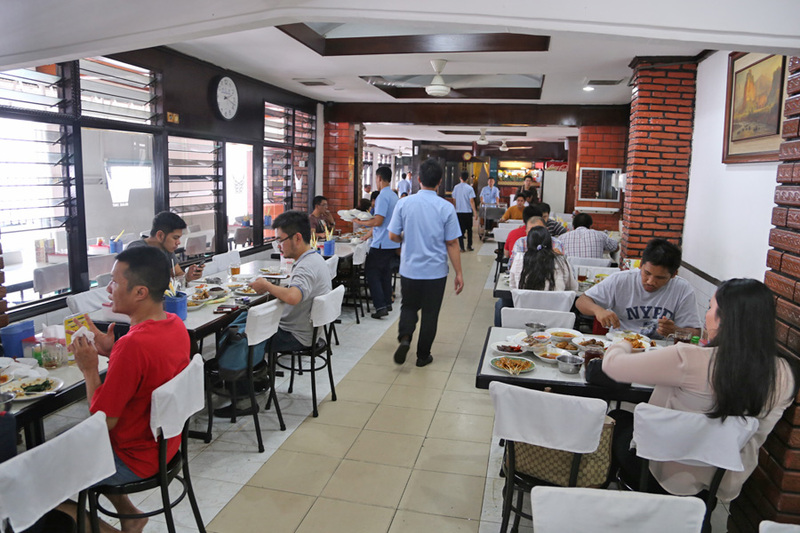 [Jakarta, Indonesia] Eating at a Padang Restaurant can be quite a culture shock to many tourists, but also a memorable experience. 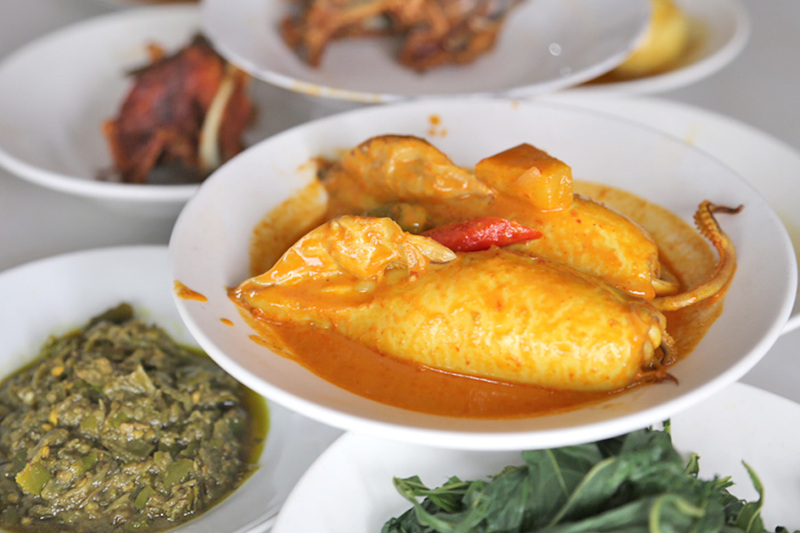 I would recommend a Padang meal whenever you are at Indonesia to get a taste of their traditional cuisine almost all at once – like a buffet. 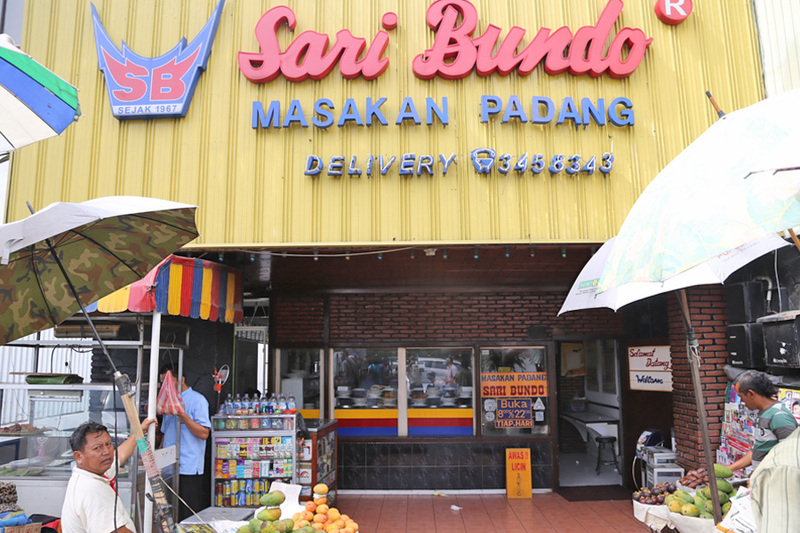 Ibu brought us to Sari Bunda, one of Jakarta’s most known Padang restaurants which has been around since 1967. The car parked right in from the shop which is flanked with local street food stalls selling fruits. I do not know how to get here, but most taxi drivers should know this place. 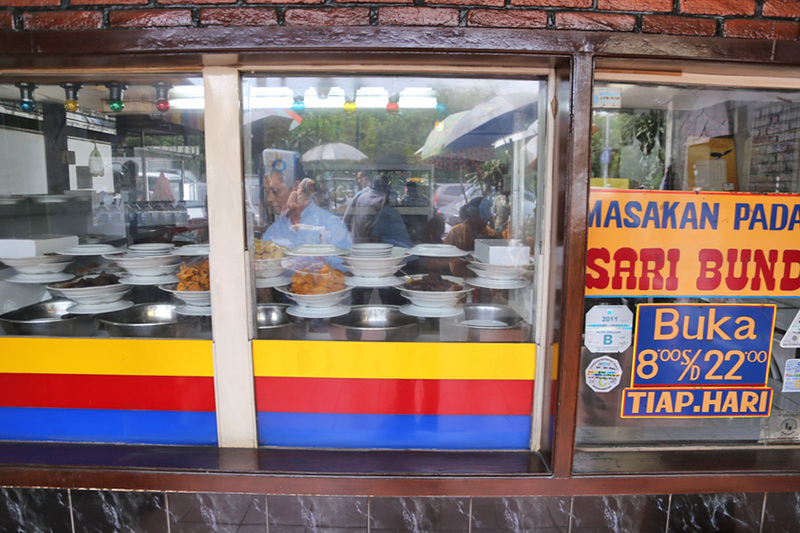 It is easy to recognise a Padang restaurant as the window would be displayed with trays and trays of Indonesian style dishes. How to order Nasi Padang. 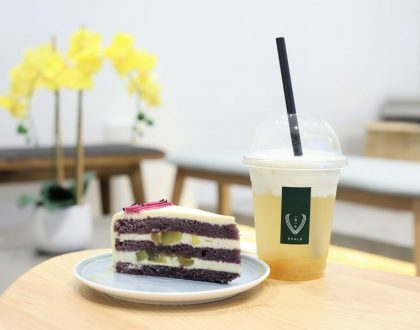 In Singapore, we are used to the ‘pesan’ method of ordering. 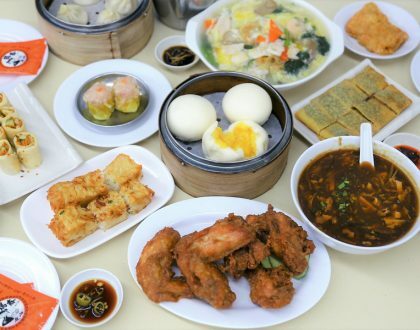 You point at the trays on display, and the dishes would be served in small quantities on rice. That is suitable for one or two customers. A first culture shock for me. The moment we sat down at the table, a serving staff came with each hand holding at least 7 to 8 small white plates filled with food, and began throwing them on the door. How he balanced and how he placed every dish in succession on the table is already a class act. We had more than a dozen dishes on our table in a minute. This is the ‘hidang’ way of serving. Something I learnt. You will be charged by the food you consume from the table. If you do not want to eat from those dishes on table, you just need to return them at the end of the meal and pay less! Yes. Untouched food will be served to other guests. Trust me, even though there were like close to 20 plates on our table (for 6 persons), we returned only about 2 dishes and finished all the rest. Guess we could not resist those rich and spicy foods. Well, a part of us felt we should not return half eaten food to the other customers. 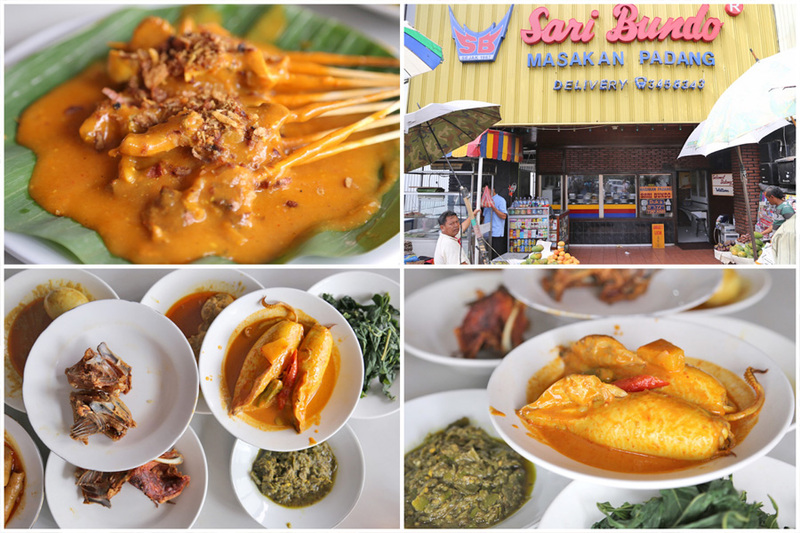 Some of our favourites were the Ayam Bakar (grilled spicy chicken), Petai Goreng (fried green stinky bean), Terong Baado (eggplant) and Sate (grilled meat skewers). If you want to know, we returned the Dendeng Batokok (thin crispy beef like jerky – too tough and dry). 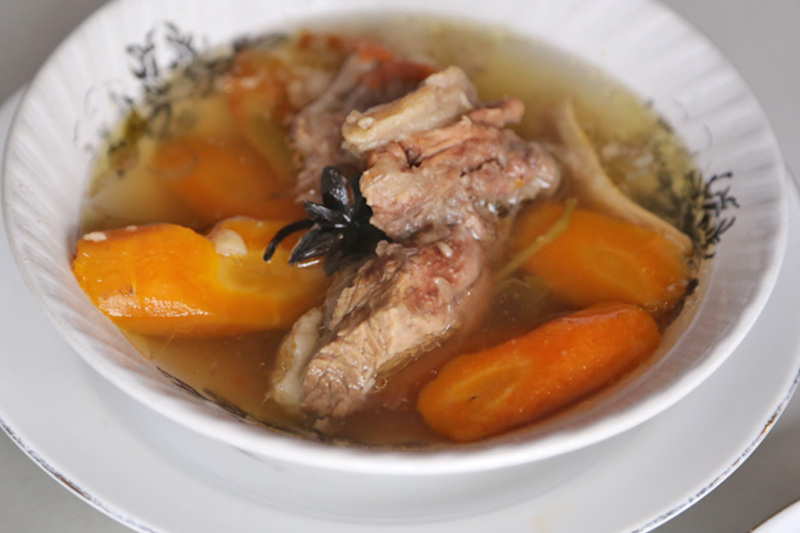 2 dishes left a deep impression (you decide in a good or bad way). The dark brown Beef Rendang (stewed beef in spices and coconut milk) though not fork tender, had a unique yet flavourful tasting rendang sauce – you know it is stewed for hours. I almost swept the plate clean. 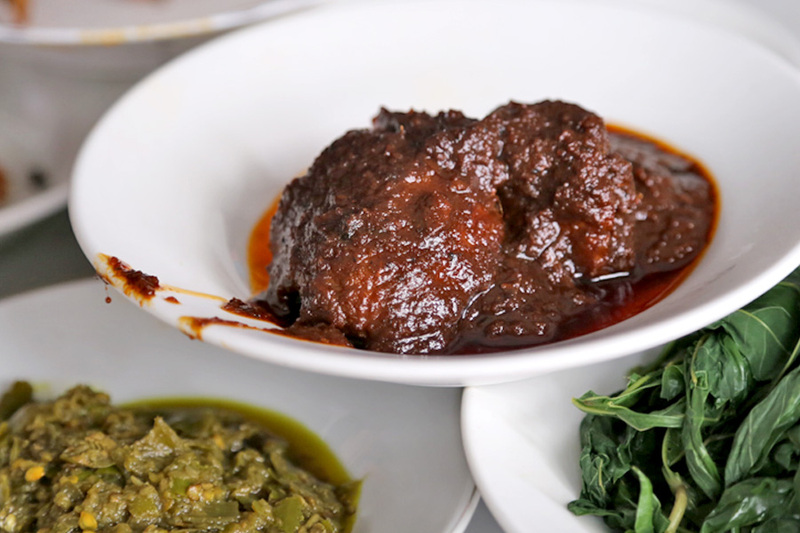 After all, this Minangkabau dish was voted by CNN International readers as chose Beef Rendang as the number one dish of the ‘World’s 50 Most Delicious Foods‘. Culture shock 2. 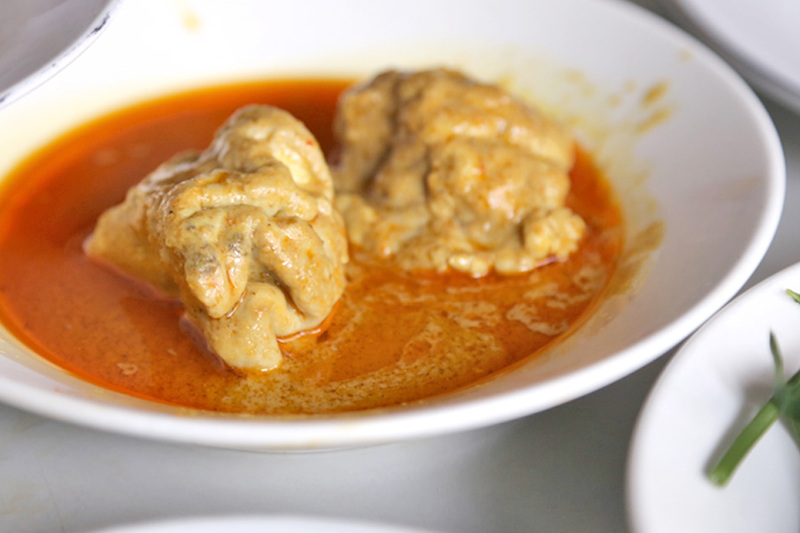 The other is Gulai Otak (curried cow brains). What?! Yes, the brains of the cow that would easily appear in an episode of Fear Factor. Be game enough to try it. I mean, it does taste like, emmm… mushy tofu? If you are up to it, you can always have cow spleen, cow liver, cow marrow, cow skin and cow lung – all available. No moostake about it. 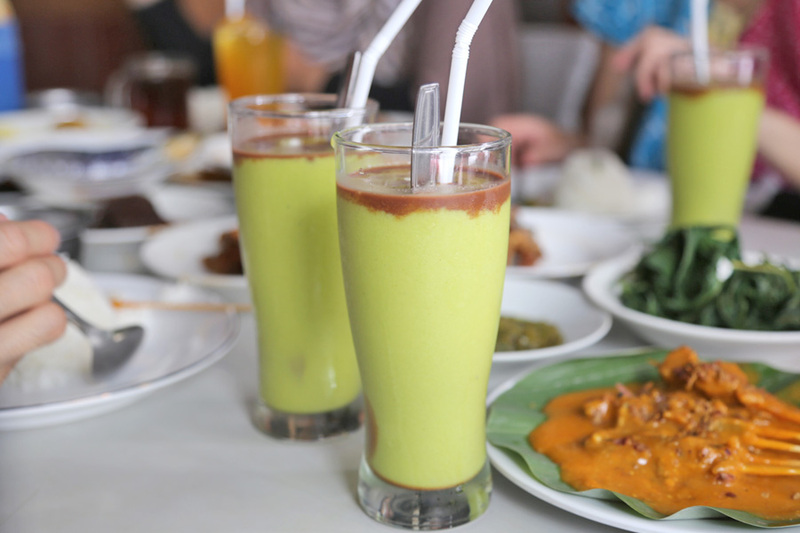 The entire meal cost us 496,650 Indonesian Rupiah for a meal and drinks for 6 which is equivalent to $54. 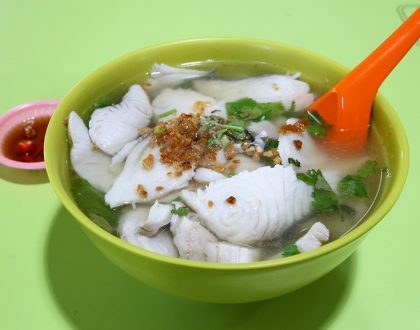 It can be considered slightly pricey when compared to other Padang restaurants, but it is one of the more popular ones around. 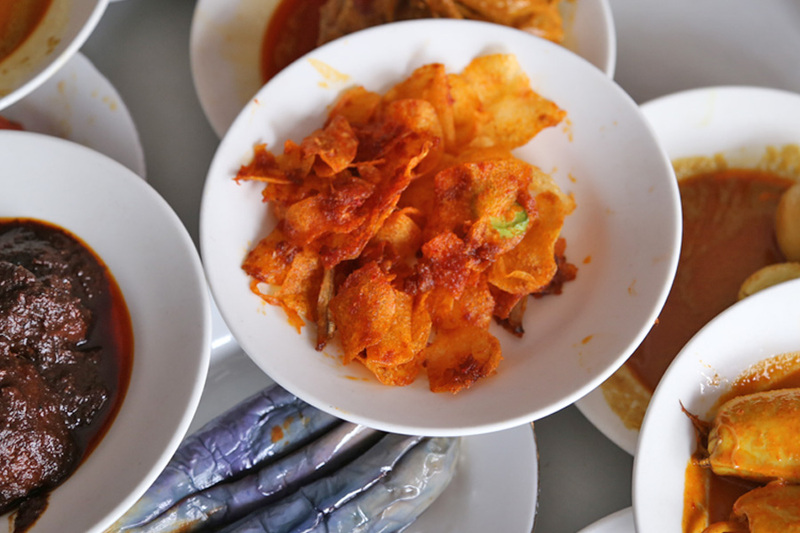 Don’t come to Jakarta without trying Padang food – perfect for big groups wanting to sample a wide range of spicy delicious dishes in one seating. *This entry is brought to you by Jakarta Tourism Office. Thank you Russell Cheong of Winsemius Consulting for organising this trip. Oh, thanks for sharing. We also wondered about taking part of the food, for eg, taking one out of two pieces of the meal in the dish. Do they count one or the entire dish? Except if the dish is ‘uncountable’ like chopped of beef curry, if you take a quarter or half of it you should pay for entire dish, because after you left it, the waiter will throw it to food bin. I hope your local host informed you that you’re not supposed to use your own spoon to scoop up the sauce or meats/vegetables from the small plates. 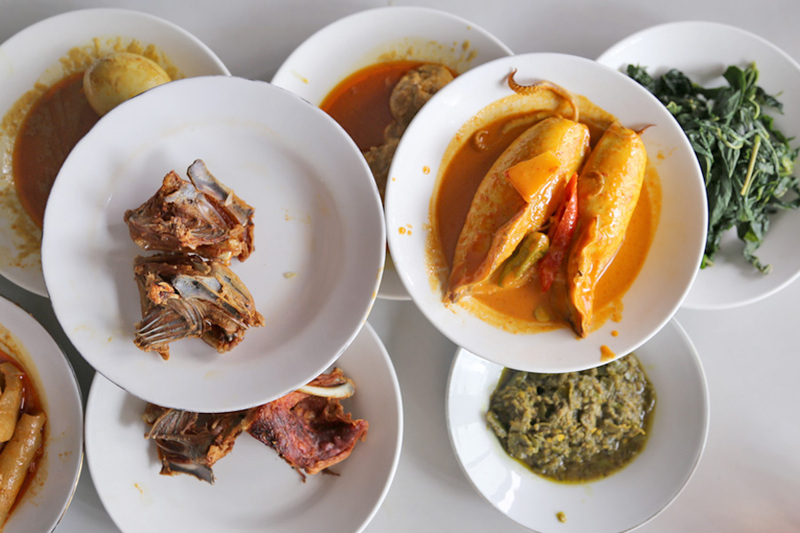 This is considered barbaric in Indonesia, and obviously food that’s been contaminated by a person’s spoon cannot be returned to the pot. I took some Singaporean friends to a Padang restaurant, and they immediately used their own spoons. We had to finish up ridiculous amounts of food because of that cultural gaffe. To answer your question, if you take one piece, you will only be charged for one piece (this is why not using your own spoon is very important). 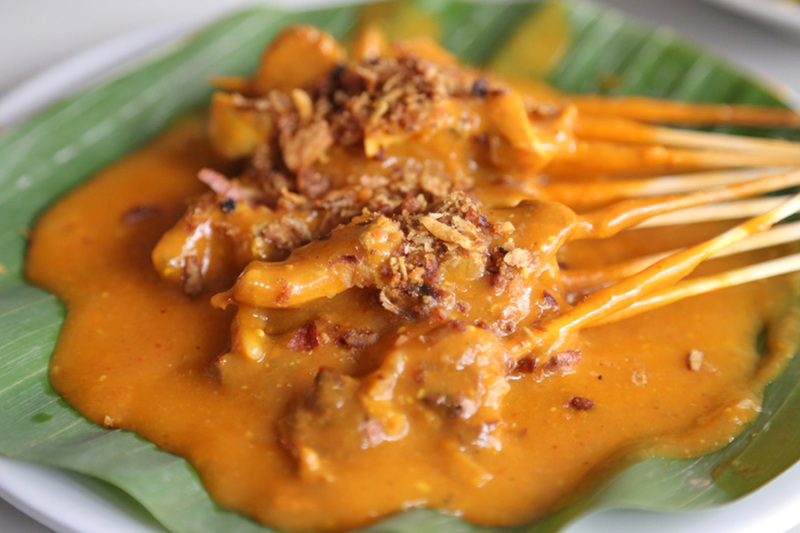 Anyway I’m visiting bak next week, any recommendations for best tom yum & pad Thai? Also rooftop lounge?